This article is the third in a series of articles on aligning marketing and sales with buying behavior and it will be of value to sales and marketing professionals who wish to adapt their process to align with buyer behavior. The first article in the series, "A Guide to Aligning Marketing & Sales Engagement with Buying Process" discussed buyer behavior and how it is affected by risk. 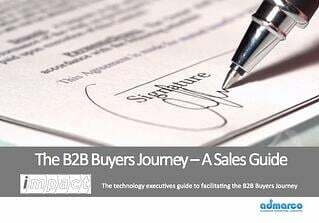 Last week's article, The B2B Buying Cycle and How to Influence it, pt. 1 is an in-depth review of the formative stages in the buying process and the role of sales and marketing in early adopter engagement as well as the risks to the supplier. Congratulations, you made it through Position, the graveyard of most opportunities. Chances are you are well on your way to a sale to an important new customer, but don't put the champagne in the fridge yet, it could be months before a formal transaction. The Assessment phase is a necessary step in a post Enron-world and the era of corporate accountability to satisfy that due diligence is carried out, compliance issues are met and risks are properly considered. 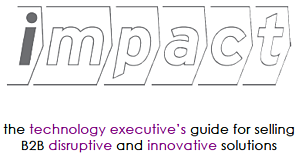 In the assessment phase the organization is weighing both the upside and the risks in implementing early stage technology. Qualitative and quantitative performance information is sought, as well as assessment of upside, risks, plus all costs. Assessment involves assembly of a project team, proof of concept or pilot to create evidence & gather data. I asked John McTigue from Kuno Creative to contribute the three marketing segments on this blog as they are engaged with a number of current customers on exactly these deliverables. Do not commence an assessment unless you know what the outcome of a successful evaluation will be. The sales team needs to lead the client "let me share with you our process that has helped others make the transition...". Influence the construction of the assessment. Get your best minds focused on this vital task. An assessment takes time, effort and resources and exposes the supplier to considerable risk. Do not start an assessment until you know what the outcome will be if your trial is successful. The Case phase converts the Assessment into a project to acquire the product or solution. The case phase involves creation of a formal business case, assignment of internal resources and budget. In this phase, the Case is pushed back and forth between the mentor and the sponsor (champion) until the sponsor is happy all relevant business and political goals are served. Budget is applied and the acquisition made public to potential suppliers. Marketing's role is to assist the buyer in their journey towards becoming a customer. It starts with buyer persona and messaging that addresses buyers directly at each stage in their personal decision process. Demand generation campaigns tuned to buyer needs at the beginning of the journey (top of the sales funnel) attract new leads that are pre-qualified by virtue of targeting and messaging. Lead nurturing campaigns keep potential buyers engaged and help them to become introduced to your products and services at their own pace. Calls to action at each step in the lead nurturing chain enable buyers to move forward when they are ready. Marketing is responsible for creating the content that maps to each buyer persona and decision stage and for developing marketing automation workflows for demand generation and lead nurturing campaigns. Ideally, sales and marketing work together to define lead scoring criteria for buyer behavior and to develop workflows for managing leads and handing them off to sales reps when they are ripe for purchase via CRM. Set the agenda for the RFP/ITT or expectations/outcomes in a Term-Sheet, or Memorandum of Understanding (MOU) if the transaction is informal. Working through the needs analysis with the client and understanding the issues, goals and concerns of each constituent in the buying group. Generate business support for the Case by demonstrating (if appropriate), that your product can help them achieve goals and overcome these issues. Providing assistance with cost/Return On Investment (ROI) models. Provide relevant examples and proof points via case studies and where appropriate, through reference calls with satisfied customers. Insufficient executive sponsorship (salespeople have only one key player on their team and their champion leaves). A late-coming competitor engages internally though their champion and cleverly changes the ground rules at the executive level. You receive an inbound inquiry asking for information on your products, and pricing. There is a sense of urgency and the buyer is not sharing with you all of their issues. Beware of the Inbound Inquiry with a short time to respond; you may be invited to compete to make up the numbers in a deal where your competition has been working for months to set the agenda and you are being invited along for the ride. The transaction phase confirms project details to all internal and external stakeholders. Procurement may become involved for a formal acquisition. This could require competitive tendering, a short-listing of possible vendors, demonstrations and selection committees, the conclusion of which will be the award of the contract to the successful supplier. In the final stages of the buy cycle, marketing also plays an important role in providing Sales with the lead intelligence and content they need to overcome objections and close the sale. Bottom funnel content such as case studies and video testimonials can help to sway buyers on the fence, and lead behavior monitoring can signal their intentions to the sales team so that they can prepare the most effective approach to closing. Once the sale is finalized, feedback from buyers as well as sales reps arms the Marketing team with valuable information for reaching new leads and nurturing them throughout the buyer cycle. Close the sale at the best possible price. If the answers to the following two questions are not yes and yes, do not begin to negotiate price. 1. Are we the chosen vendor? 2. Is price the only remaining obstacle to doing business? Execute a Sequence of Events where the outcome is an order on completion of a successful assessment and business case. Salespeople should strive to time the order outcome other than at the end of quarter. Be prepared to walk if you cannot close the transaction on acceptable terms. 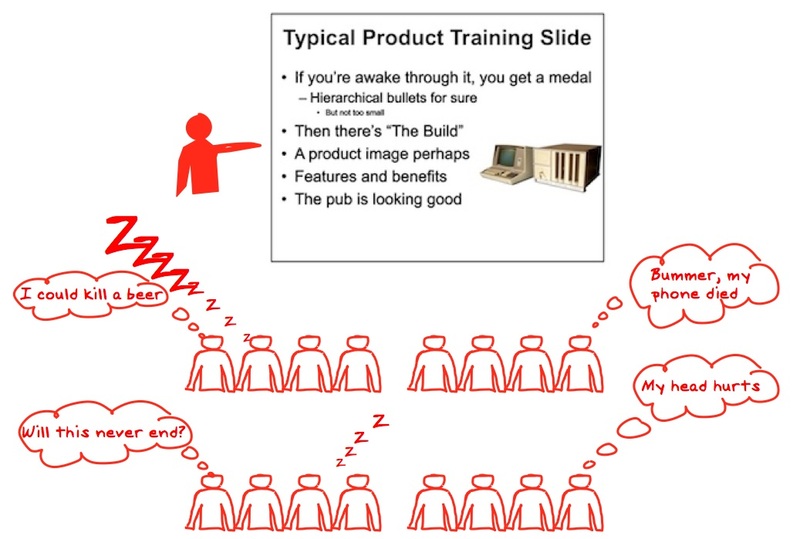 Have you ever had a situation where you engaged a prospective lead, they showed a lot of interest, your meaningful conversations led to a demo or a presentation and then the prospective buyer went radio silent and disappeared? This happens a lot; according to Scott Santucci of Forrester, at least 80% of the time leads fail to make it through the sales process. There are many possible reasons why leads die, but I suggest that most early leads don't make it past the critical internal "fight for funds" (Positioning) phase in the buy cycle. Buying behavior has changed permanently and way faster than most sellers and marketers have been able to adapt their processes and their business. 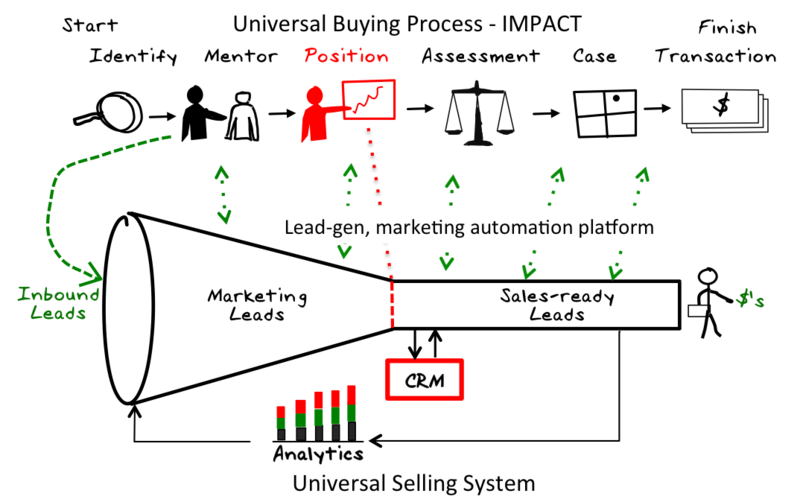 Much recent debate about the point at which salespeople are engaged in the buying process leads me to believe that an in depth review of buying-selling process is required. "The Diffusion of Innovation," by Everett Rogers is a hugely influential study on the process by which innovations are adopted or diffused into a population. This work, now in its fifth edition was first published in 1962 and has spawned dozens of books like "Crossing the Chasm," by Geoffrey Moore, "The Tipping Point," by Malcolm Gladwell and many others. This series of article will help you understand why most early stage opportunities die, how buyers buy and how you can better influence a buying cycle in your favor. The articles are based on a collaboration with Dominic Rowsell, co-author of " Why Killer Products Don't Sell" and adds a layer of understanding from the buyers perspective on how they go about buying innovative or disruptive technology and how risk affects vendor engagement. Understanding the buying process will help sellers to engage and optimize their value chain. This is new thinking for most sales teams and with insights gained from this work, we can adjust our selling process to serve our customers according to how they buy - which is governed by their tolerance for risk. People buy for many and varied reasons; our role as sales professionals is to find out the underlying motives of the buyer and once in possession of this knowledge, do our best to satisfy the buyers needs. People buy technology solutions and consulting services for dozens of reasons, however most of these can be distilled into the following four business drivers, or buyers compass. There is a pathway or process that all organizations and individuals follow to reach purchasing decisions. This pathway is universal and does not vary by culture or geography as it is inextricably linked to human nature. What changes from one company to another is the speed at which organizations or individuals travel through the process. Every purchase goes through the IMPACT cycle, either formally or informally, - with or without the supplier. Whether an airline is buying a fleet of Boeing Dreamliners, a small business is buying an innovative new software service, or a family is buying a new laptop computer for the home, every purchase goes through the same process. For a Boeing 787 it may take 20 people two years to decide, for a Laptop in the home, it might take a discussion with your partner, a visit to a few Websites and a couple of hours in total. The six steps in the buying process use an acronym which is easy to remember as it has huge I-M-P-A-C-T on organizational performance. Every purchase goes through all six phases, with or without the supplier. The Cycle of Adoption shown in the visual confection below, layers the cycle of adoption over the universal buying process IMPACT and introduces the four buying behaviors and the point during the cycle of adoption that they engage buyers.